Why gourmet? Because I went all fancy with my seed spread! 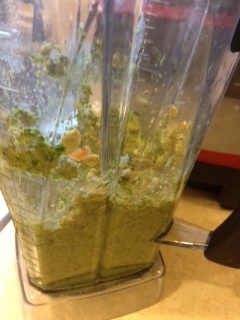 Add everything to a food processor and process. Add a drizzle of water if mixture is too dry. Refrigerate to chill mixture and allow flavors to meld. Eat within two or three days. 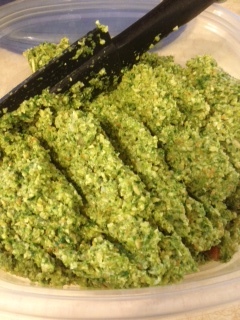 Use different herbs: Parsley, watercress, mint mix, rosemary mix, tarragon mix, etc. Once your pate is ready, so something simple with it, like dip veggies in it or use it as a sandwich spread, or do something fancy with it! Cut the top off of a medium tomato. Cut into the core forming a cone to remove seeds and pulp. 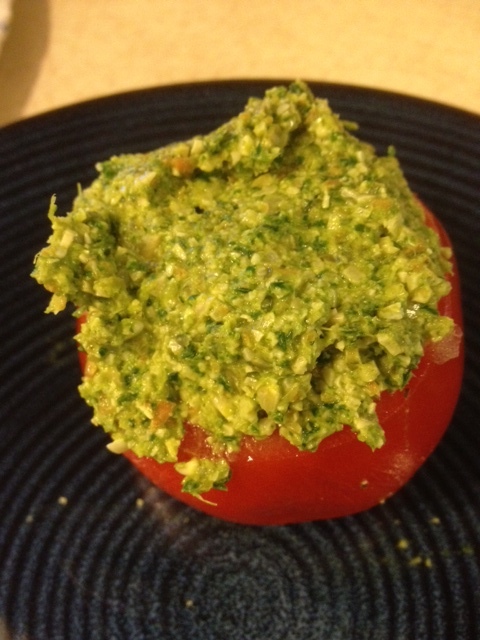 Fill tomato with about 1/4 c of pate. Top with herbs or seasonings of choice. Clean and stem a leaf of your favorite green. (I used Swiss Chard). 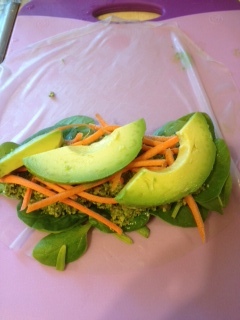 Assemble your favorite ingredients, lay down a layer or pate first (to help the veggies stick), and roll like a burrito. I used matchstick carrots and avocado. Soften rice paper/spring roll wrappers according to package directions. Lay flat. Assemble favorite ingredients, lay down a lay of pate first (to help veggies stick), and roll like a burrito. I used matchstick carrots and avocado. 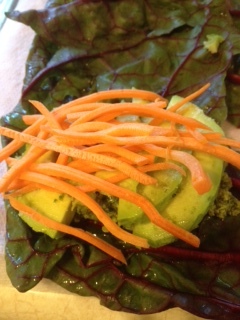 Eat your goodies by themselves or assemble a fancy plate for a gourmet raw lunch or dinner. Enjoy! 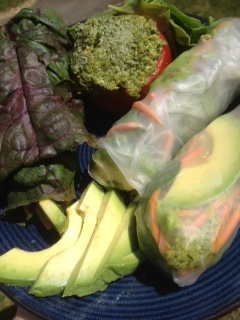 This looks yummy, especially in the raw spring rolls! Wow what an adaptable pate! I love the look of that tomato especially. I’ve een meaning to eat more pumpking seeds since they’re high in iron, so thanks for the good idea!